Pretty clear. 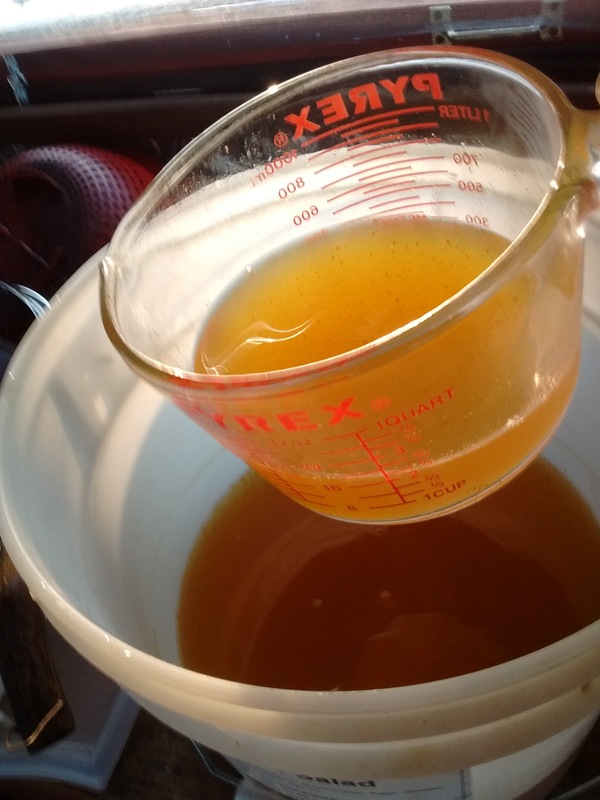 There was quite a bit of deceased yeast in the bottom of the container. Fermentation seemed to have stopped, so we ladled the cider out through a cloth into a glass beehive dispenser for bottling, discarding the last half inch or so of the liquid and it's accompanying sediment. There was still a fair amount of funk left behind in the filter as well. 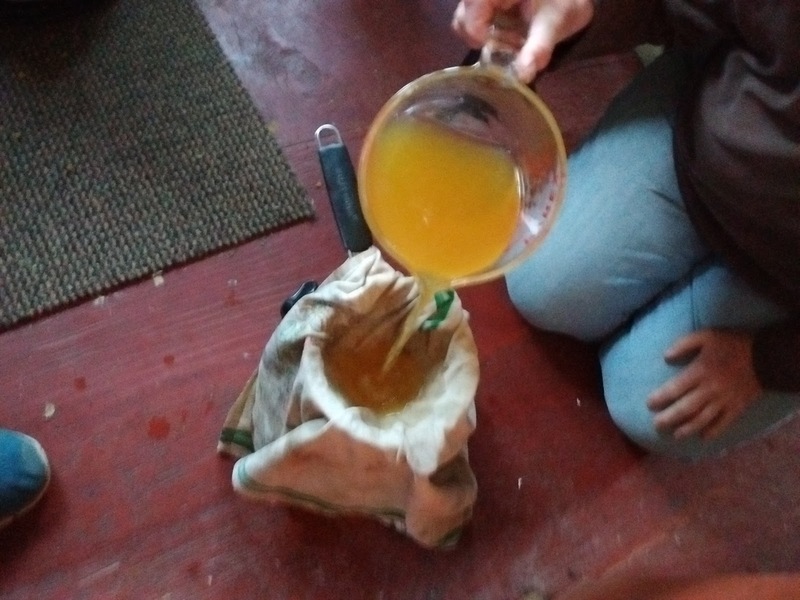 We rinsed out wine bottles from our Thanksgiving revels (we were REALLY good at them this year) with a bleach solution and then with filtered water and filled from the dispenser. The dispenser, btw, made filling easy. The dispenser made filling bottles easy. The color is lovely. The finished cider filled about 8 wine bottles (of course we had to do some sampling on the way, right? ), which we returned to the fermentation bucket to store in case of . . . .well. . .explosions. 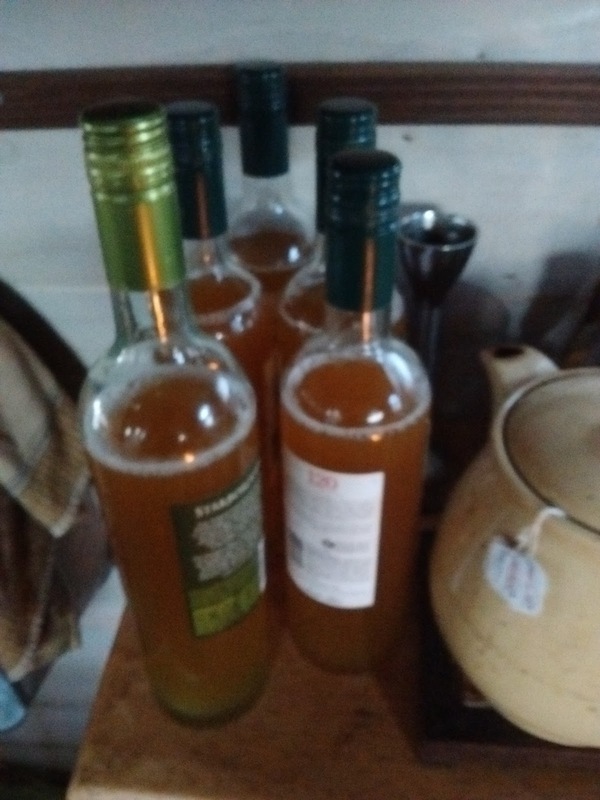 As it is, I plan to "burp" the screw top bottles periodically to make sure that doesn't happen, but at present, there's little sign of additional fermentation. the wine labels off the bottles. 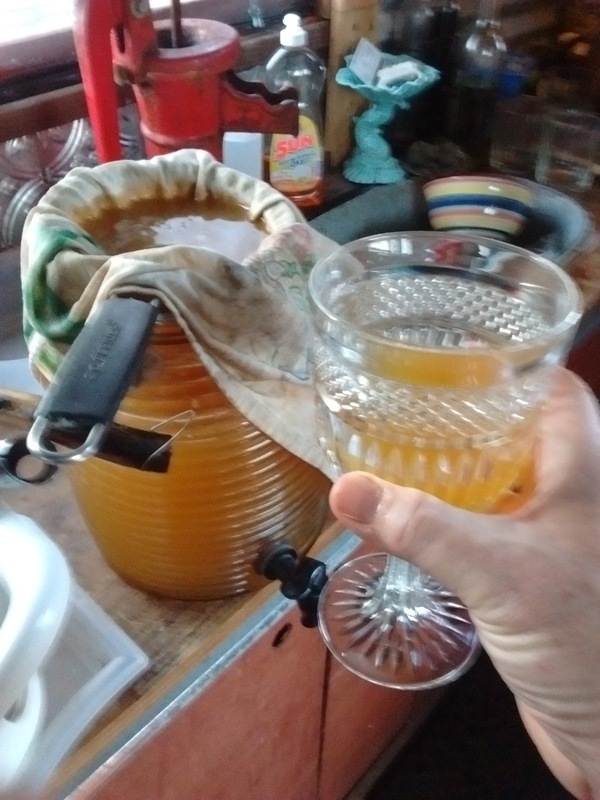 The resulting cider is about 9% ABV, with a crisp bite from the crab apples, still, and dead dry (which is the way we prefer our wines). I'll be interested to see how it mellows in the bottle. This was fun. More projects to come.